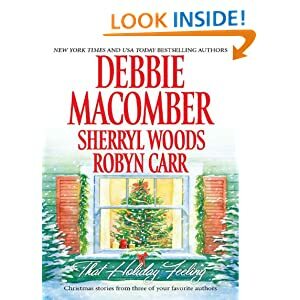 Today only, five holiday romance novels–from authors Debbie Macomber, Sherryl Woods, Susan Wiggs, Robyn Carr, and Linda Lael Miller–are just $0.99 each. This year, Becca Timm knows the number one item on her Christmas wish list—getting over Denny Cutler. Three years ago, Denny broke her heart before heading off to war. It’s time she got over her silly college relationship and moved on. 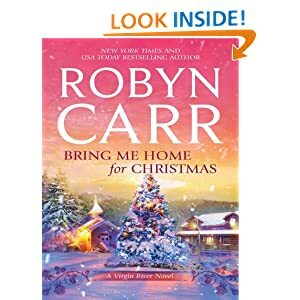 So she takes matters into her own hands and heads up to Virgin River, the rugged little mountain town that Denny calls home, as an uninvited guest on her brother’s men-only hunting weekend. But when an accident turns her impromptu visit into an extended stay, Becca finds herself stranded in Virgin River. With Denny. In very close quarters. 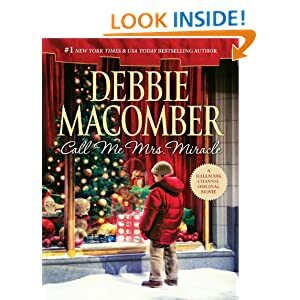 As the power of Christmas envelops the little town, Becca discovers that the boy she once loved has become a strong and confident man. And the most delicious Christmas present she can imagine. This Christmas, Emily Merkle (call her Mrs. Miracle!) is working in the toy department at Finley’s, the last family-owned department store in New York City. And her boss is none other than…Jake Finley, the owner’s son. Fortunately, it’s Mrs. Miracle to the rescue. Next to making children happy, she likes nothing better than helping others—and that includes doing a bit of matchmaking! Will bachelor Trace Franklin become a groom-to-be by Christmastime? He sure will…if Savannah Holiday’s aunt Mae has anything to do with it. When the folks of Virgin River discover a box of adorable puppies under the town’s Christmas tree they call on local vet Nathaniel Jensen for help. But it’s his budding romance with Annie McCarty that really has tongues and tails wagging! Stone Creek veterinarian Olivia O’Ballivan communicates easily with animals, but men are another story. Especially rugged architect-turned-rancher Tanner Quinn. Olivia’s uncanny bond with his daughter Sophie’s pony has him questioning her sanity, while she wonders if he’s not just a drugstore cowboy. Then twelve-year-old Sophie conspires with Olivia to get Tanner into the spirit of Christmas. 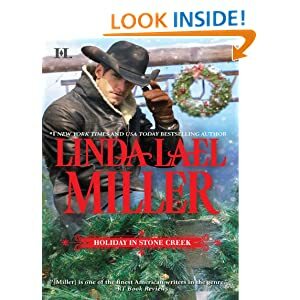 But will a holiday miracle transform the globe-trotting Tanner into a rancher—and family man—for all seasons? Everyone in Ashley O’Ballivan’s life is marrying and starting families—except her. But why bother dating when no one can compare to Jack McCall, the man who left her heartbroken years ago? Now he’s back in town —and maybe he isn’t who she thinks he is. While recovering from a dangerous mission for the DEA, security expert Jack rents a room in Ashley’s bed-and-breakfast. For both their sakes, he tries to keep his distance, though neither can deny the growing spark between them. But when his past catches up with him, he’ll have to leave again…just as he realizes where he’s always belonged—in Stone Creek. Maureen Davenport finally gets to direct Avalon’s annual holiday pageant, and she’s determined to make it truly spectacular. But former child star Eddie Haven is turning out to be a tattooed lump of coal in her stocking. Eddie can’t stand Christmas, but a judge’s court order has landed him right in the middle of the merrymaking. He and Maureen spar over every detail of the pagent, from casting troubled kids to Eddie’s original—and distinctly untraditional—music. Is he sabotaging the performance to spite her, or is she foricng the show into her storybook-perfect notion of Christmas? And is it possible that they’re falling in love? When Susan Wiggs’s recent novel, Fireside, landed at #1 on the New York Times bestseller list, the author responded by jumping fully clothed into her swimming pool. In February. In the Pacific Northwest. After thawing herself out, the author put on her lipstick and vacuumed the living room. Why? Because on the tiny island where she lives, news travels fast. She knew her girlfriends would show up momentarily – which they did – with the customary champagne and bags of Cheetos. She toasted her loyal readers, whose unflagging interest in her books propelled her sales upward. She toasted her friends and family as well, since they have always been the source of her inspiration. From the very start, her writings have illuminated the everyday dramas of ordinary people. At the age of eight, she self-published her first novel, entitled A Book About Some Bad Kids. Today, she is an international best-selling author, with millions of copies of her books in print in numerous countries. 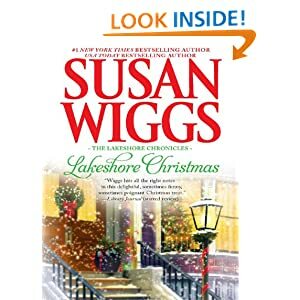 Her Lakeshore Chronicles novels celebrate the power of love, the timeless bonds of family and the nuances of human nature that make headlines every day. She lives on an island in the Pacific Northwest and is perpetually working on her next novel. Do you remember playing Centipede or Asteroids at the arcade in the 1980s? Wouldn’t it be great to relive these and other games from your childhood? With Atari’s Greatest Hits PRO, you get a collection of the most popular retro games from the ’70s and ’80s–including nine free games. Now you don’t need a time machine to get the classic gaming experience of yesterday. You just need this app and an Android device. Atari’s Greatest Hits PRO gives you access to 100 classic Atari 2600 and arcade games. This extensive catalog pays homage to each of the originals, with controls designed to mimic what Atari fans remember from 30 years ago. You can buy games like Pong, Tempest, Crystal Castles, and many more. For those who love the classic gaming experience, this handheld breakthrough is sure to guarantee hours of fun. 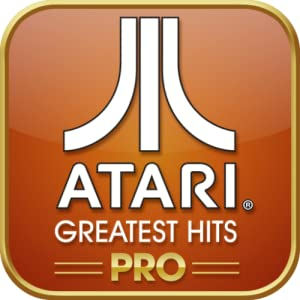 What’s more, Atari’s Greatest Hits PRO includes nine free games with your purchase of the app. That’s eight more games than the free version of the app, in which Missile Command is the only game included. When you download Atari’s Greatest Hits PRO, you’ll get nine games for free: Pong, Missile Command, Missile Command 2600, Centipede, Millipede, Centipede 2600 and Millipede 2600, Basic Math, and Flag Capture. You’ll also get the original gaming cabinet and box art–a great way to complete the retro experience. You can also purchase additional Atari games quickly and easily from within this app. Choose from 25 separate packs, each of which contains three to four individual Atari games. (For example, the Adventure 4-pack contains the well-loved game Adventure, as well as Haunted House, Return to Haunted House, and Save Mary.) These packs are priced quite affordably. PLEASE NOTE: This app lets you purchase digital content using actual money. You can configure parental controls for in-app purchases, which will require your Amazon account password or a 4-digit PIN, by going to the Settings menu from within the Amazon Appstore.